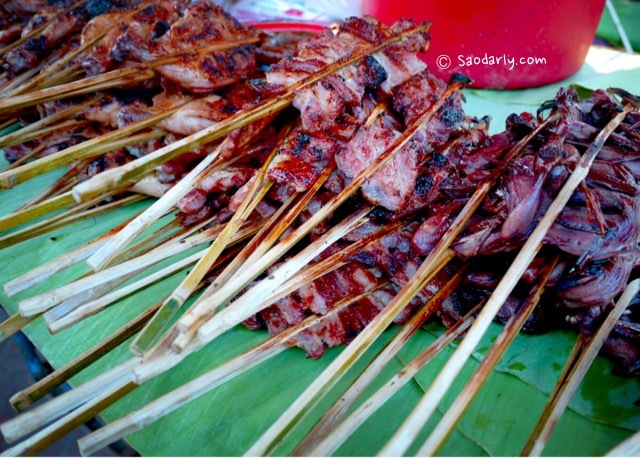 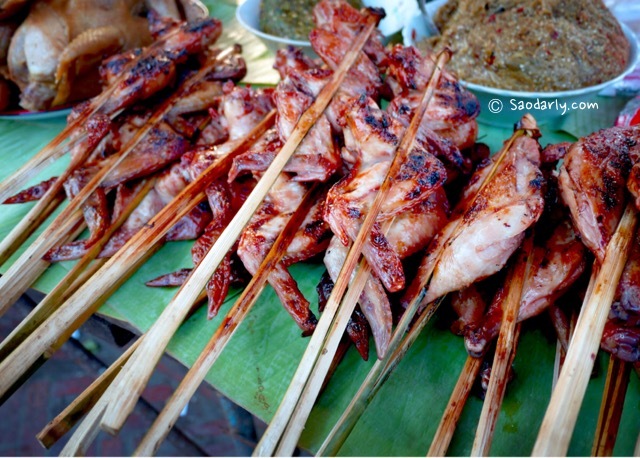 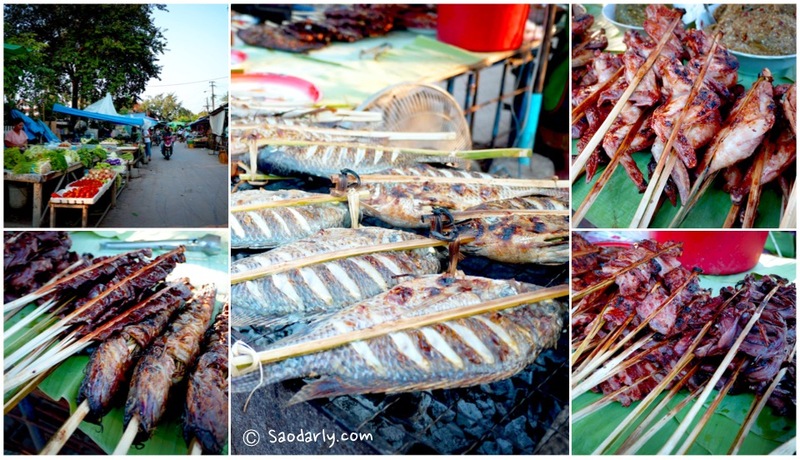 During my vacation in Luang Prabang, I didn’t eat out at a restaurant that much and often went looking for grilled food at Luang Prabang Evening Market. 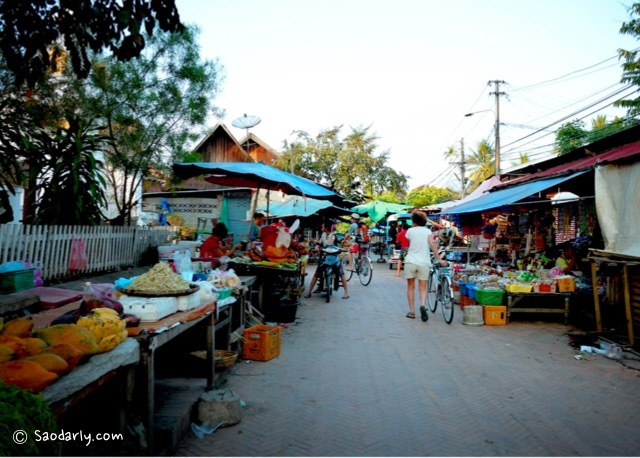 The evening market is not as packed like the morning market but there are enough food vendors and merchants selling various things. 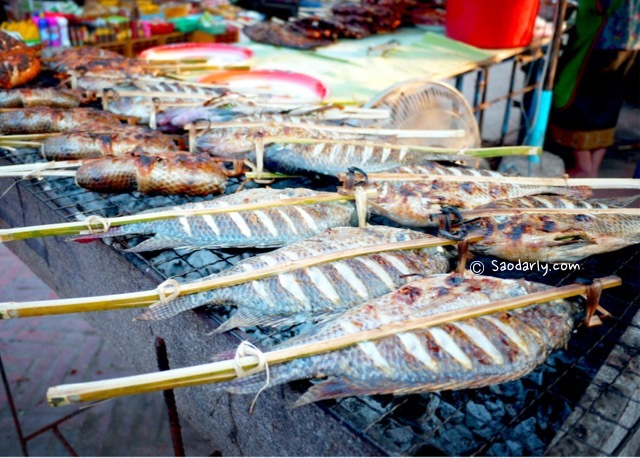 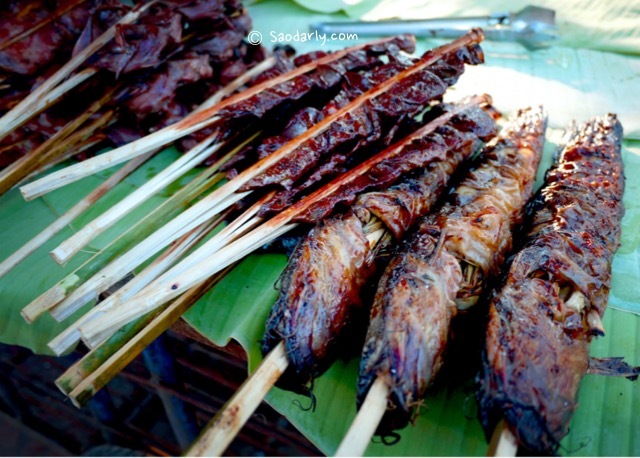 This area is where the local people go for their small evening grocery shopping and to buy already cooked or prepared Lao Food dishes like grilled fish, poultry,meat, dipping sauce, roasted chicken, or boiled chicken head and feet. 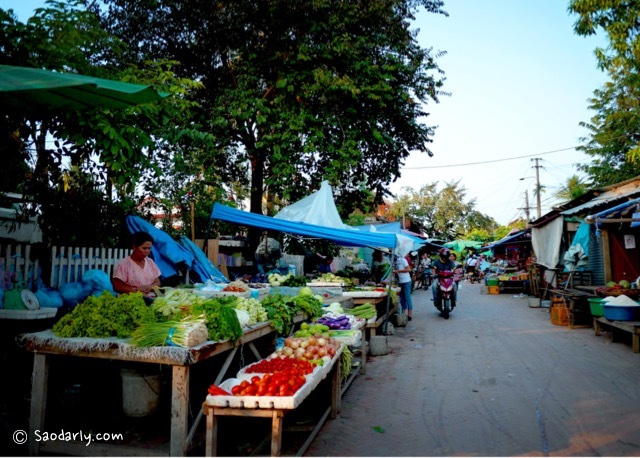 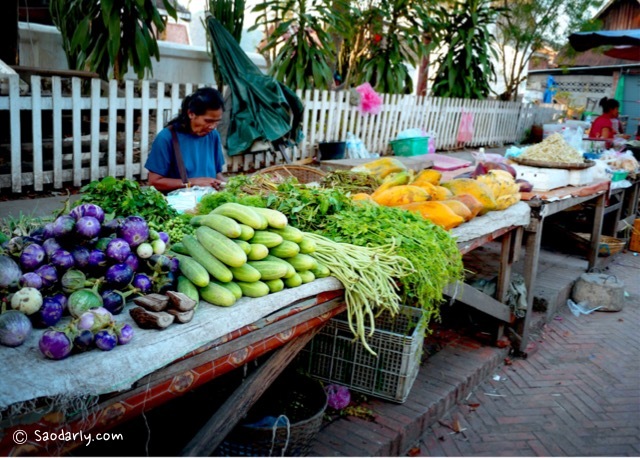 The evening market is also where I often go buy vegetables and fruits to have with my dinner during my stay in Luang Prabang, Laos.